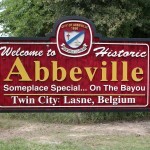 Abbevile What is So Special About Abbeville? Abbeville, Louisiana is the parish seat of Vermilion Parish, Louisiana, claimed to be “The Most Cajun Place on Earth”. Abbeville has a population of about 12,250 people. It is home to many restaurants that specialize in the authentic tastes of the region. 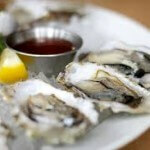 A tradition of great oyster bars runs deep in Abbeville and oysters, raw and prepared in many ways, is still a favorite by locals and visitors alike. Crawfish are plentiful, as well, as many crawfish ponds are located nearby. Shrimp, caught fresh and brought into nearby Delcambre, Louisiana, can be readily purchased. Formally called LaChapelle, the land which became Abbeville was purchased by founding father, Père Antoine Désiré Mégret (Père is French for ‘Father’) on July 25, 1843 for $900. 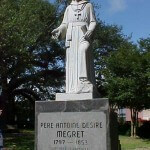 Megret named the town after his hometown in France. There were two people living on the land at that time, Joseph LeBlanc and his wife Isabelle Broussard, whose former home Father Megret converted into a chapel. The chapel burned in 1854, and St. Mary Magdalen Catholic Church now stands at the same location. 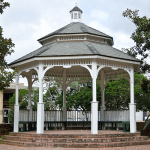 Father Megret modeled the town’s original plan after a typical French village, and today Magdalen Square gives Abbeville a picturesque downtown center with its gazebo, fountain and the historic St. Mary Magdalen Church across the street. Abbeville is home to several annual festivals, including the Giant Omelette Celebration each November when cooks prepare a 5,000-egg omelette in the street in front of the Vermilion Parish Courthouse, The Daylilly and Garden Show, The Louisiana Cattle Festival, and many more. Downtown Abbeville offers shopping, art galleries, a theatre, museums and history tours, while birding trails and golf are located nearby. 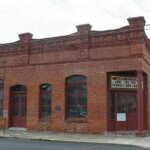 In Abbeville, there is something for everyone and, once here, you will no longer be a stranger.